Hong Kong-based marketing and communications agency, Catch On on Tuesday announced that it has included the Philippines as one of the New G-8 (Gastronomic 8) emerging markets of influence in world cuisine. 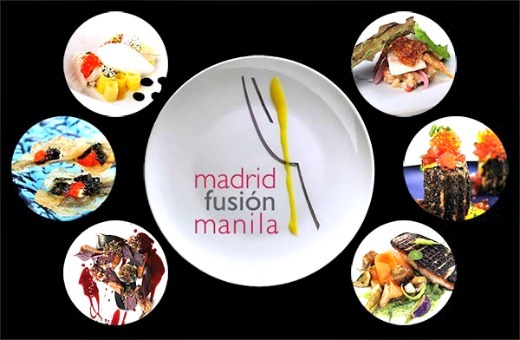 This comes after the country’s successful staging of the second edition of biggest gastronomic event in the world, Madrid Fusion Manila last April 7-9 at the SMX Convention Center in Pasay City. In their new report entitled 'The Future of Food', the agency noted that food is an important part of Philippine culture and that Filipinos take their culture of food seriously. It also mentioned the cross-pollination of culinary influences in Philippine cuisine that mirrors the country’s colorful historical influences and that these influences are amplified by a young breed of Filipino chefs. The report further noted that as more Filipinos travel overseas, they bring with them their culture of food. Philippine ingredients and the country’s signature dishes like adobo, kinilaw, and sisig are slowly making their way into international kitchens. “Overseas, the Philippines’ colorful influence can be found in restaurants like Jeepney and Pig &Khao in New York, or Filipino-born, Austin-based Paul Qui’s eponymous restaurant,” the report stated. “There’s a growing movement to preserve and document culinary artisanal traditions that have survived generations simply because they came out of family kitchens. We’re seeing more self-trained chefs launching restaurants, more men cooking at home, the continued move away from any notion of fine dining, the growing influence of street food, and the popularity of culinary tourism. This is the new culture of food,” it further added. Department of Tourism (DOT) Secretary Ramon Jimenez Jr. welcomed the news as a result of the recently-concluded global culinary events here such as Madrid Fusion Manila and World Street Food Congress. “The Philippines is now gaining more recognition as an emerging country, whose indigenous ingredients and culinary excellence are increasingly finding their way into world cuisine,” Jimenez said. He explained that the fact that the organizers of the prestigious Madrid Fusion decided to hold the first and only Asian edition in the Philippines signaled to the rest of the world the growing influence and importance of Philippine cuisine and the Filipino talent. “As more travellers are starting to choose their travel destinations and plan their itineraries based on the food culture of a place, this is definitely an added boost to Philippine tourism,” he added.